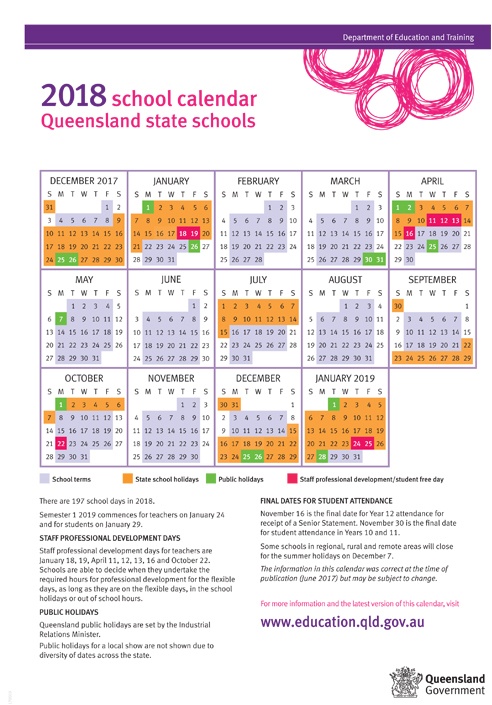 The Department of Education sets the term and school holiday dates for all Queensland state schools. Independent schools and Catholic schools base their holidays on the state school dates, but these can vary from school to school — check with your independent or Catholic school for details. the idea of perfection kate grenville pdf The Gateway Visitor Centres of David Fleay Wildlife Park and Walkabout Creek Discovery Centre operate a seasonal holiday activities program during Queensland school holidays - four times a year (Summer, Autumn, Winter and Spring).